I am running my Windows 8 Consumer Preview on a Acer Iconia w500. It comes with a 32 GB HDD so if I already have on OS on there and if I try to reinstall the new build , it start to whinge about freeing up space on the drive and what not. Luckily I can put the Windows 8 Release Preview ISO on to a USB drive , make the drive bootable and then it’s a simple process of reinstalling the OS. Today we will tell you how to get Windows 8 ISO on to a USB drive. 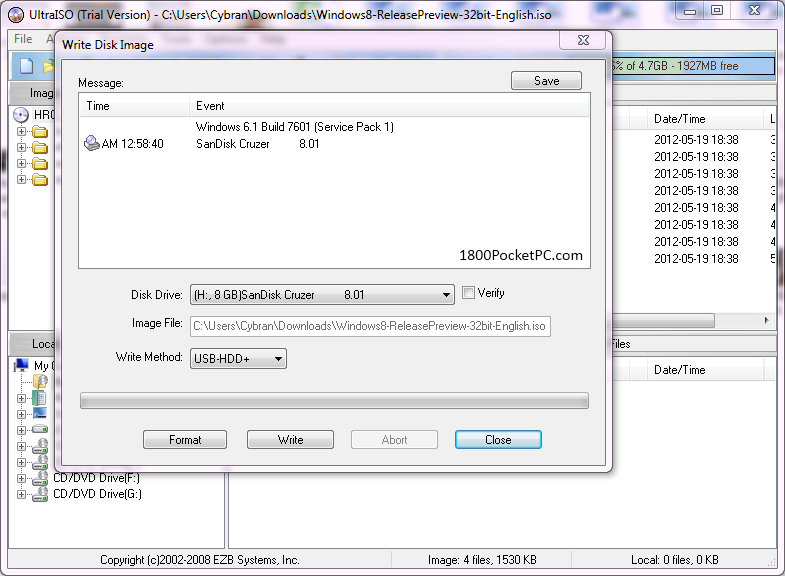 Windows 8 Release Preview ISO get them here. Make a note of the Product Key for Windows 8 Release Preview : TK8TP-9JN6P-7X7WW-RFFTV-B7QPF you will need it during installation. Step 2: Go to Botable >> Write Disk Image. Step 3: Make sure ‘USB+HDD’ option is selected under Write Method ( it should be that by default ), make sure your USB key is selected as the Disk Drive and click on Write.